Monterey Bay Aquarium was founded in 1984, is non-profit and open to the public. 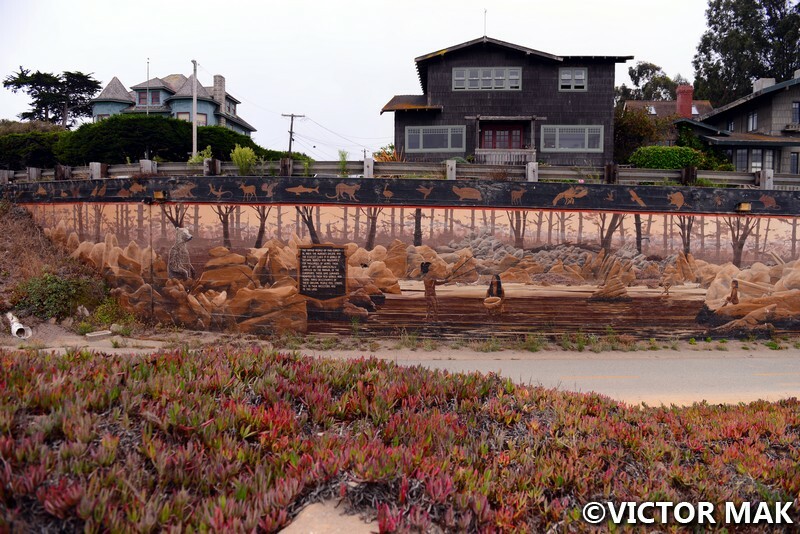 It’s located on Cannery Row in Monterey and the site was a former sardine cannery. The aquarium utilizes the ocean by using pipes to pump in and circulate fresh ocean water. There are over 600 species of animals and plants on display. They don’t house any animals except sea otters which are rescued through it’s Sea Otter Program. 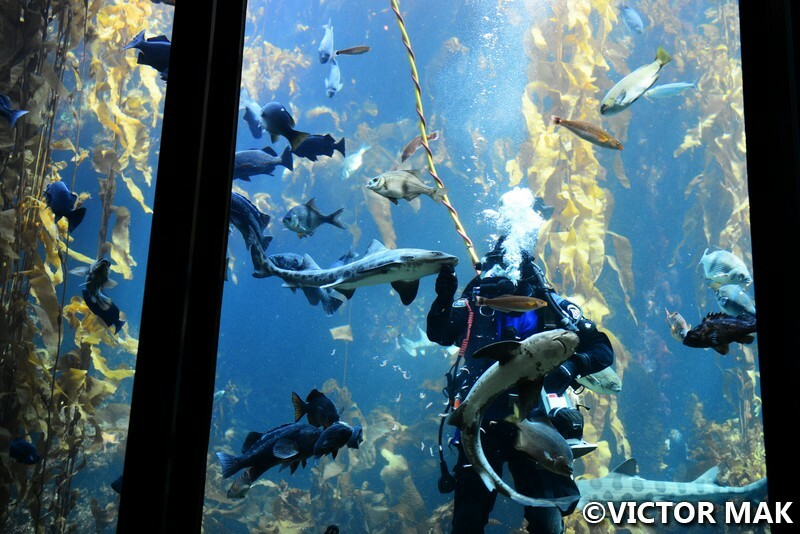 This is one of our favorite aquariums, Monterey Bay Aquarium and California Academy of Sciences in SF. 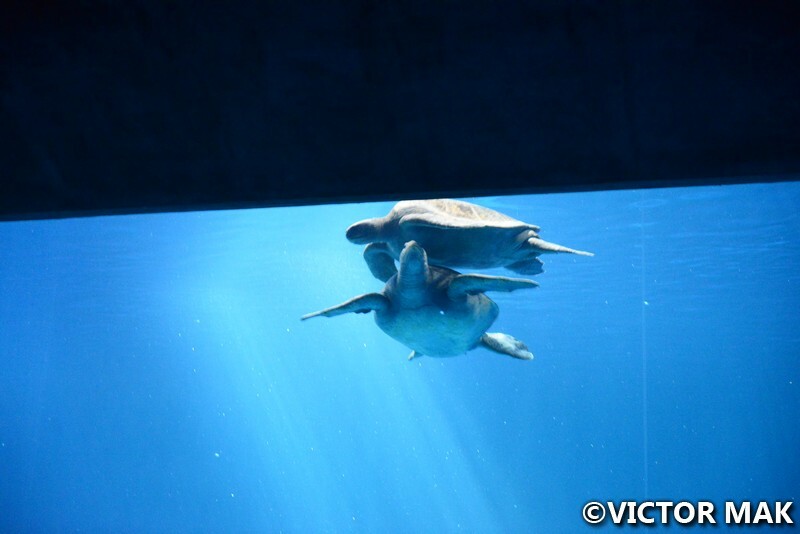 They have vast displays of sea life with big wide openings to look in the tanks. Conservation is a strong theme at these two which we love. 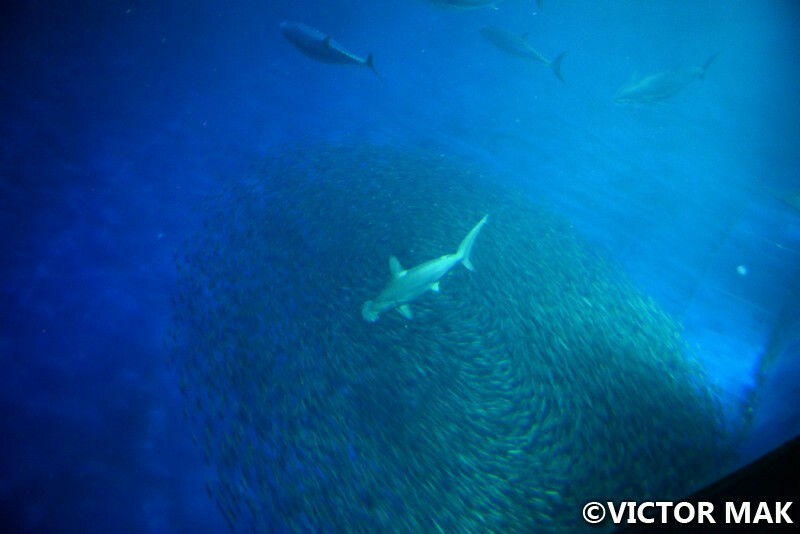 Conservation and vast displays of sea life – can’t ask for anything more. The aquarium is on the site of Hovden Cannery which was built in 1916. 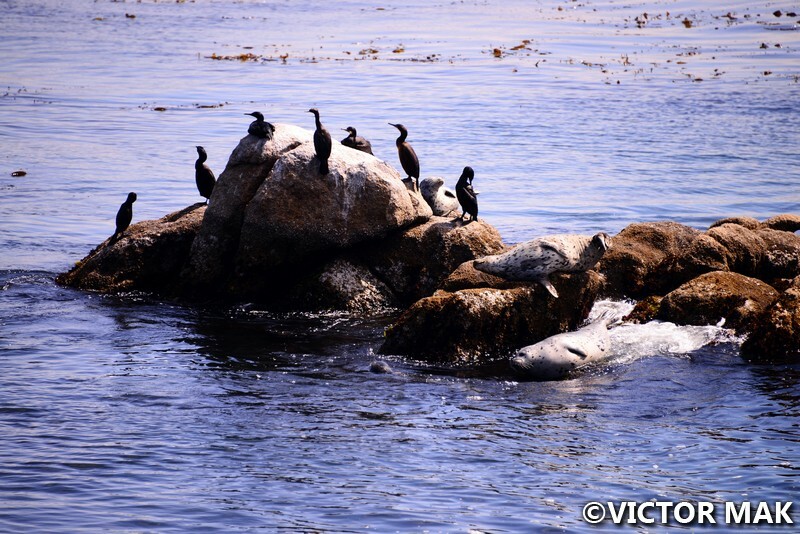 At the turn of the century, Monterey saw the fast expansion of the fishing industry. February 14, 1908 marks the day when the first major cannery opened on Ocean Avenue. Improvements in technology allowed the industry to accommodate the huge spike in demand for WWI. Canneries expended fast and lined the shore. In 1915, production was 75,000 cases. In 1918, 1.4 million cases. Production slowed during the Depression but WWII brought another boom to the industry. The workers were mostly immigrants. Early in the canning industry there were no regulations for hours and shifts. The hours were long, unsafe, smelly and cold. In the early days, the workers cut fish by hand removing the tails and heads, and spread them on wooden slats (flakes) to dry. Then large metal baskets were put in boiling peanut oil, drained, then packed in cans and smoldered by hand. The last step was labeling and boxing. Innovations of machinery and fishing gear changed the fishing industry and enabled mass production. The sardines disappeared from the bay after WWII. The area fell into ruin. 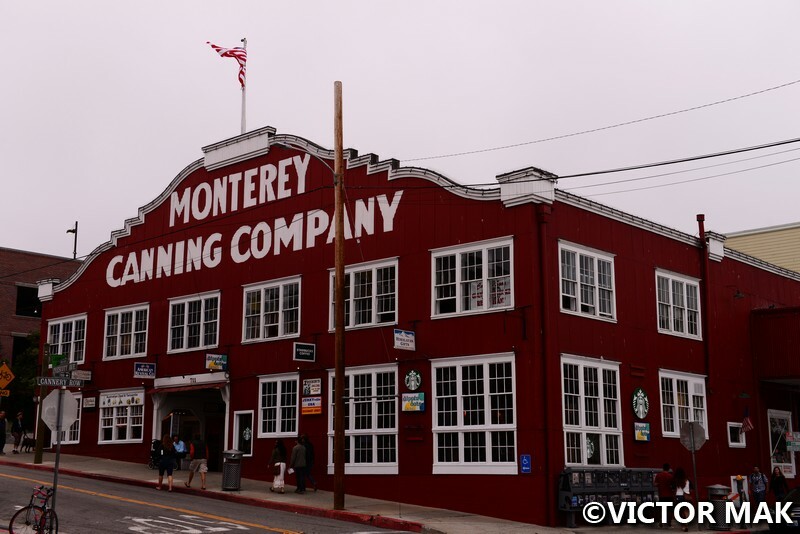 1976 saw the founding of Cannery Row Company. It saw the revival of the row. Now it’s a tourist destination. Esherick Homsey Dodge & Davis designed the first original building. 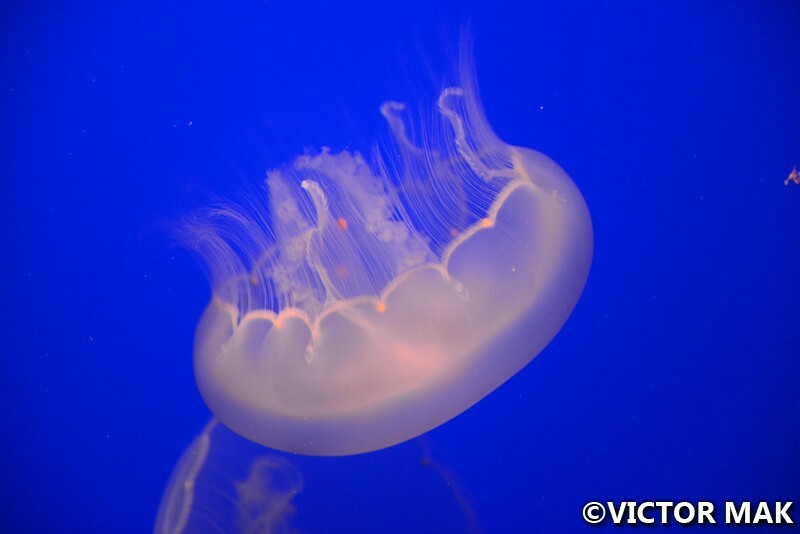 The mission of the aquarium is “to inspire conservation of the oceans.” David Packer, co founder of Hewlett Packard, provided the aquariums initial financial backing. 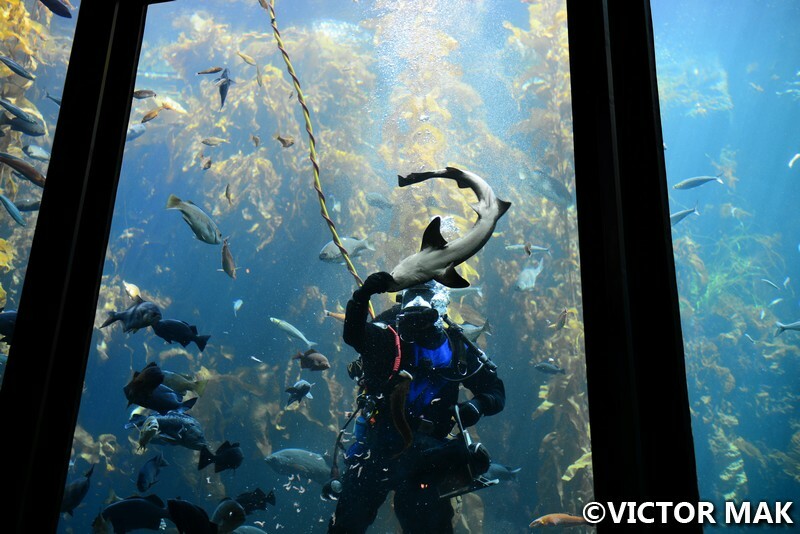 He’s also into blacksmithing; he forged and designed several exhibit elements for the aquarium at his forge in Big Sur, the wave machines in the Kelp forest and aviary. The building pumps 2000 gallons (7,570 liters) of seawater in. During the day the water is filtered for clarity, at night fresh unfiltered sea water is pumped in. This brings plankton in to feed the exhibits. The Kelp forest benefits from this design. 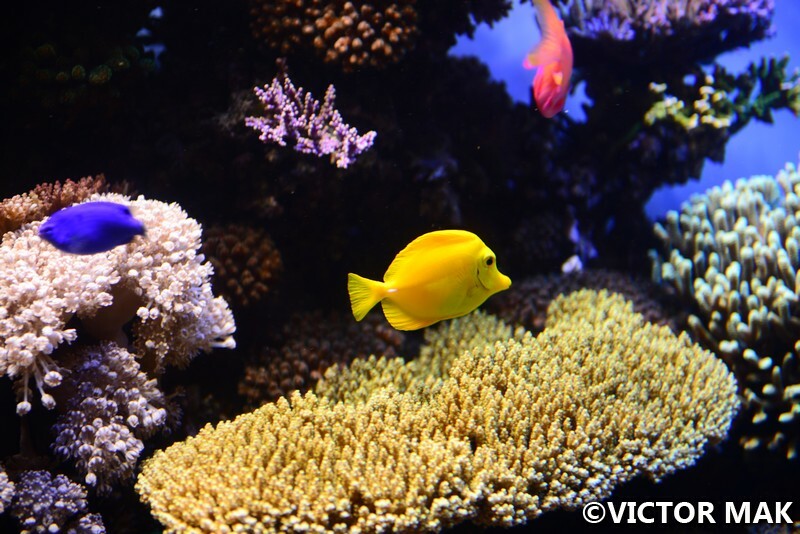 Ordinary salt water aquariums aren’t suitable for the Kept Forest, they need the organisms and cultures from the oceans to live. The Aquarium conducts research on sea otters, Pacific blue fin tuna, and great white sharks to understand their migration, monitor populations, see the dynamics, food requirements, and threats they face. They are the main site for shore bird rehabilitation. 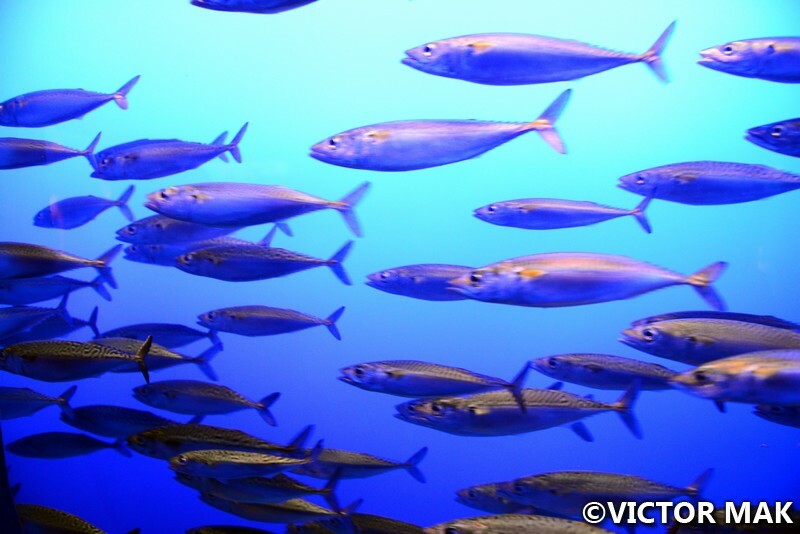 They also recommend what seafoods to eat and which ones to avoid, promoting sustainable seafood consumerism. The only public money the aquarium receives is from an occasional grant given to visiting scientists for studying. 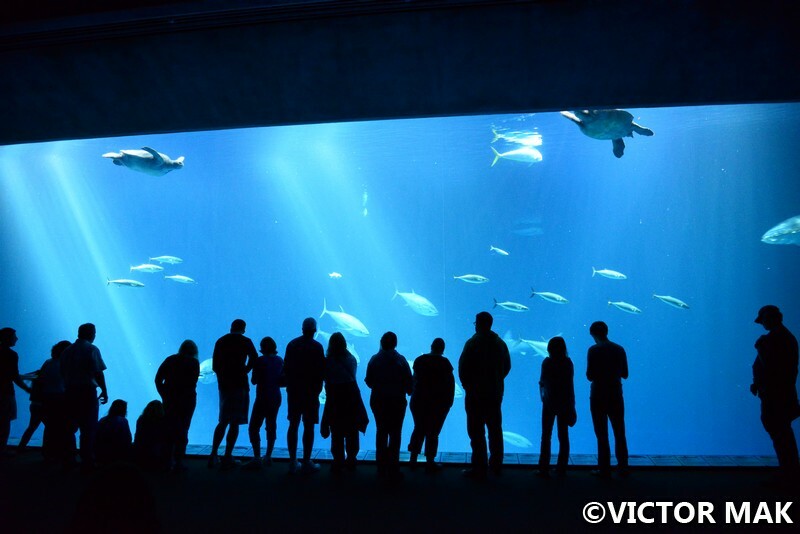 Operating costs are covered by admission, The David and Lucile Packard Foundation, other foundations, and other individuals support the aquarium’s programs. 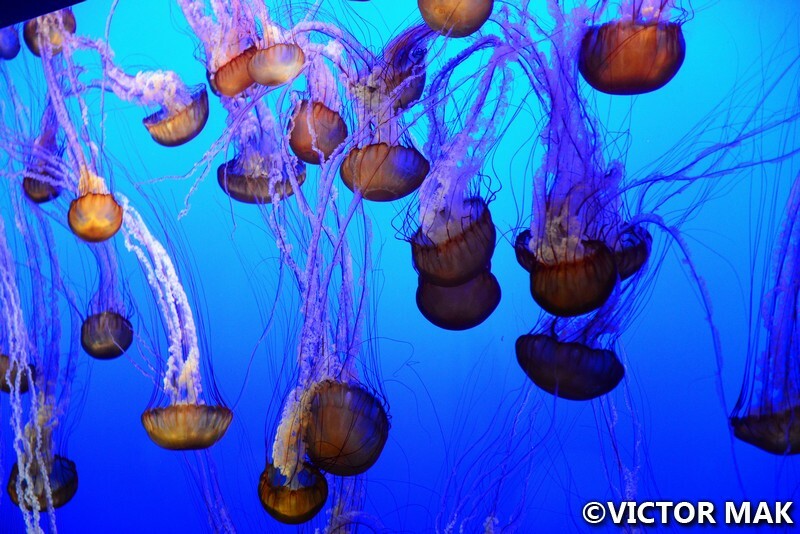 The aquarium also has a close relationship with Monterey Bay Aquarium research Institute located at Moss Landing, CA. They are known for programs in marine biology and deep sea marine life research. The tickets are worth the price. They may be expensive at $49.95 a ticket per adult but it’s worth funding research, education, conservation, and just a fun experience. 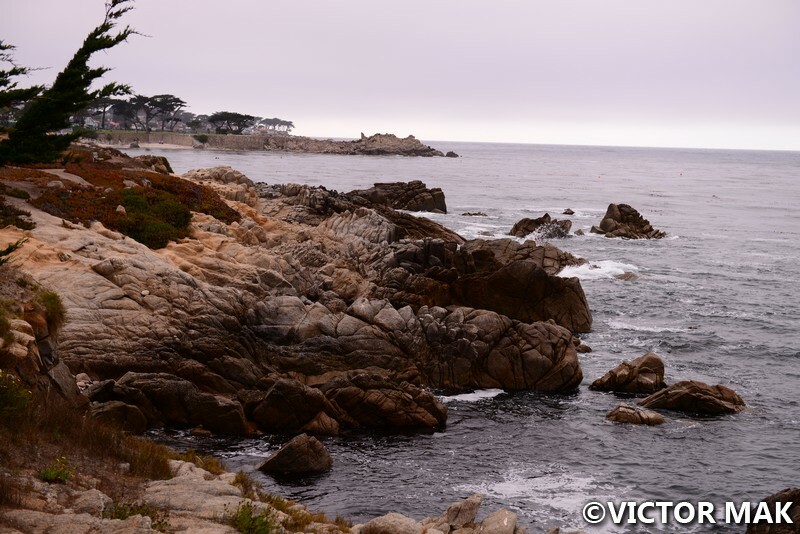 After the aquarium, we walked to Pacific Grove. It was a scenic, enjoyable walking trail connecting the two towns. From there we caught a cab to take us back to our inn. Posted on April 11, 2017 April 11, 2017 by jebusandandrea	This entry was posted in Aquariums, North America, USA, Walking and tagged Aquarium, CA, California, Immigrants Make America Great, Monterey, Monterey Bay Aquarium, Monterey Peninsula, North America, Photography, Travel, USA. Bookmark the permalink. Monterey is a beautiful place and the aquarium there is a gem. Thank You! It’s a wonderful part CA. We spent most the day at the aquarium. Like like a place I would like to visit. Thanks for the inspiration ! Wonderful place. 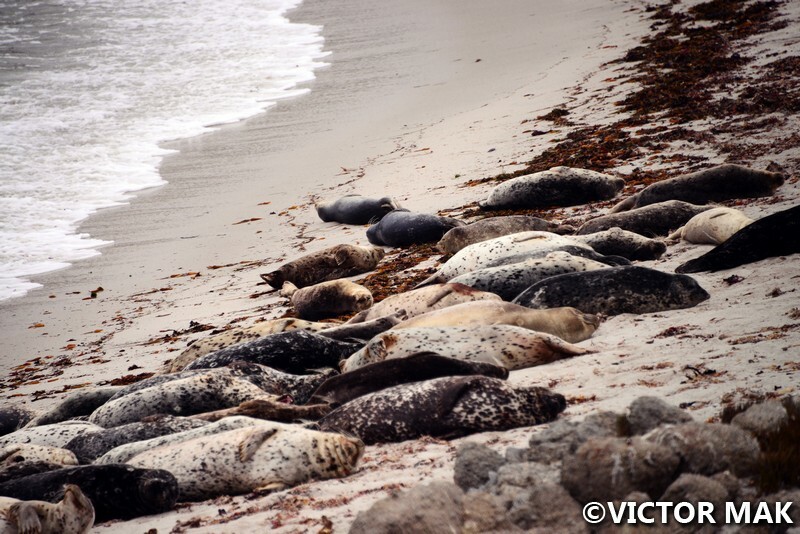 If you haven’t been to Monterey Peninsula stay at Carmel by the Sea. It’s a little fairy tale looking town. I’m glad you had a good time out there. The entire area is so beautiful, it’s hard to believe you’re just a couple of hours south of San Francisco. This area of CA is one of our favorites. 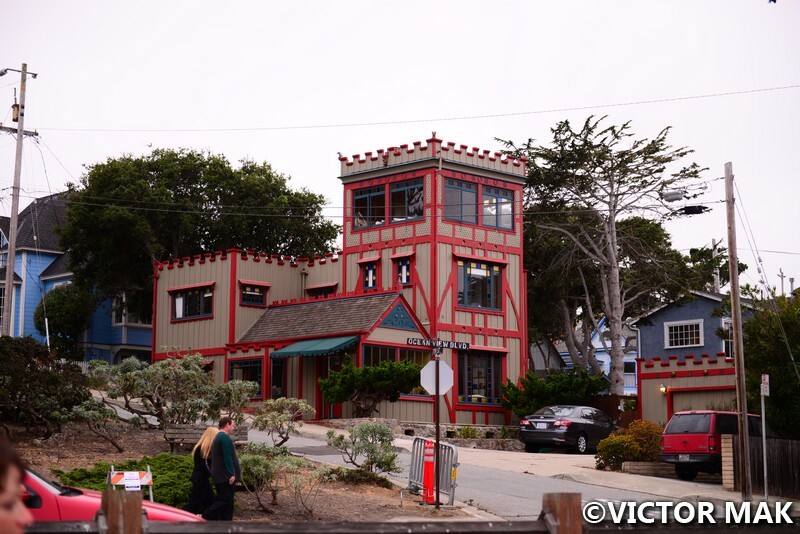 Taking a side trip to Carmel by the Sea ended up cheaper than if we spent all our Time in SF. The SF hotels are expensive. I think you can get better deals in NY. We would visit again whenever we go back. We’d like to see it in June. 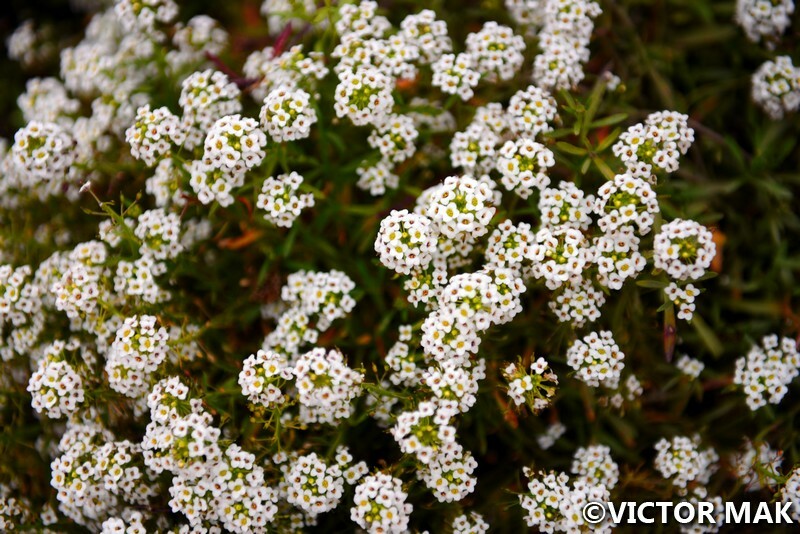 I think thats when our guide said the flowers are in bloom at Point Lobos. Can’t quite remember. On our last day hawks killed a crow. There were a ton of crows in the trees and they were all going crazy because their friend was killed. This trip really was a burst of nature for us. This is a hard one. We feel the CA ones are the best. There’s Coney Island Aquarium (I’ve never been there), there’s Norwalk, CT, the, Riverbank, Long Island but the Baltimore one is probably the best one of them all. The thing is we compare them to Cal Academy and Monterey, those two are just so cool. I’ve only been to the Baltimore one and its a lot bigger than the others. I know its far away. You know what I’ll blog about Baltimore. It’s a good family getaway. We hit the science museum and the aquarium on an overnight trip. Stay in Inner harbor and it’s walkable. Hotels and the museums are right there. Great information about how the aquarium keeps the water clean during the day and yet keeps nutritious or more like natural at night. That is a cool idea. I’ve never been to this aquarium, but it looks amazing. We are blown away by the CA ones. We haven’t been to many just the Baltimore one, California Academy of Sciences and Monterey. The displays were so vast and the conservation message is strong in CA. 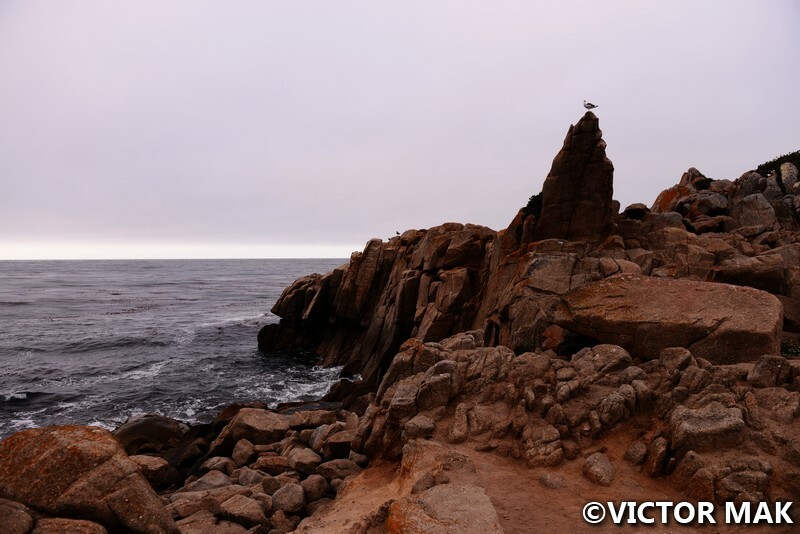 Monterey Peninsula is one of our favorite places. What an interesting concept. And it’s for a good cause. Nice thinking! 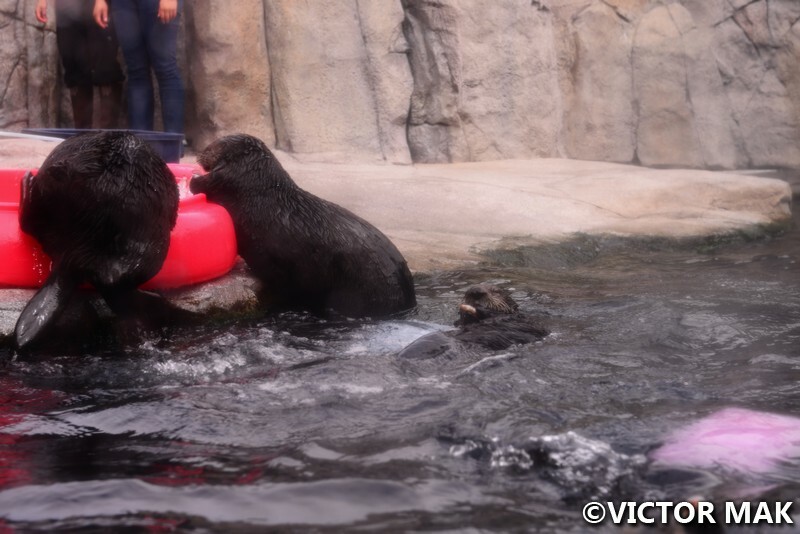 The sea otters are a blast to watch. Your sea gooseberry photo is awesome. We just went to the Monterey Bay Aquarium this weekend and loved it. Thank You! It’s a great aquarium!